Men will be men. 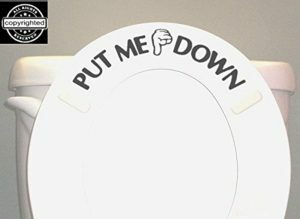 But there is a remote chance that installing this vinyl ‘Put Me Down’ Sticker will remind them to actually put down the toilet seat when they are done. The keyword in that sentence is REMOTE. But what the heck, for the price it’s worth a shot. Made from high quality vinyl, this sticker is hygienic and easy to clean. 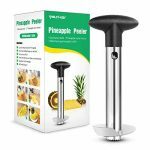 Will not peel but easy to remove if you need to. Great for any household with men or boys that like to forget bathroom etiquette. We went to my sister’s house for Thanksgiving last year and like most families, there is always a bit of arguing and stuff. I bought this for her as a gag gift and she loved it and put it on right away. Some of the older men were less than impressed with being told what to do but it was all in good fun and it did seem to actually work. Mostly. Some men just can’t be taught. My twelve year old son is terrible about putting the toilet seat down. I guess my complaining for years and years must have gotten to him as I was pleasantly surprised on Mother’s day when he took my hand, led me into the bathroom and lifted the toilet seat to show me the gift he bought me. He said he is going to try harder to remember now. Almost brought tears to my eyes. I thought it was very thoughtful. I live alone but often have company over. 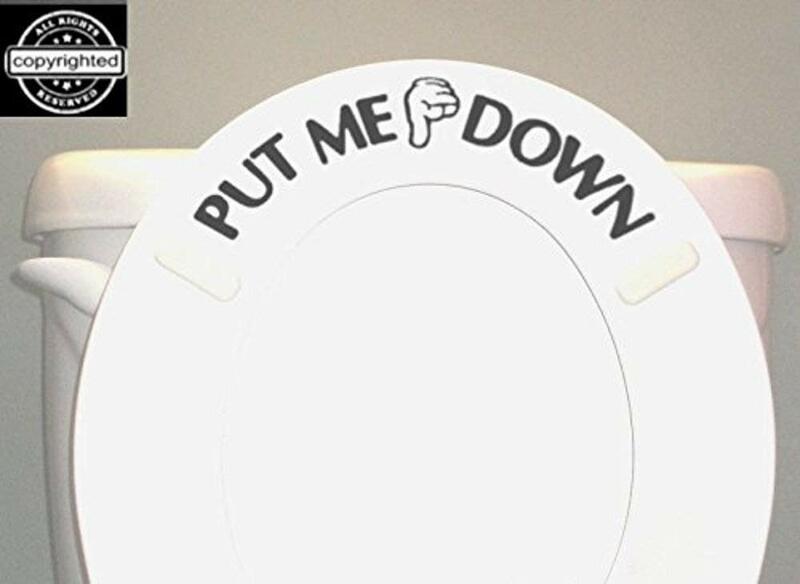 My dad and brothers were always good growing up about putting the toilet seat down but now I entertain fairly often and it is a huge pet peeve of mine having to put the toilet seat down. It’s a nice, fun way to politely remind my guests to be polite and I don’t have to get annoyed and ruin my evening. I’d give this more stars if I could.